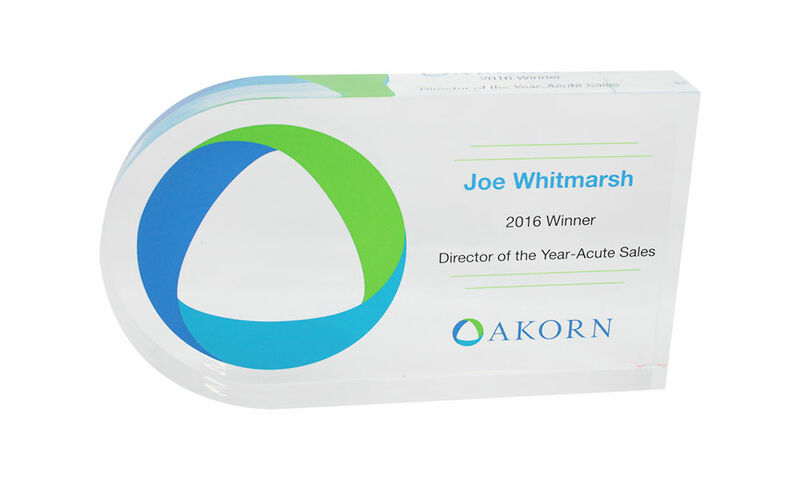 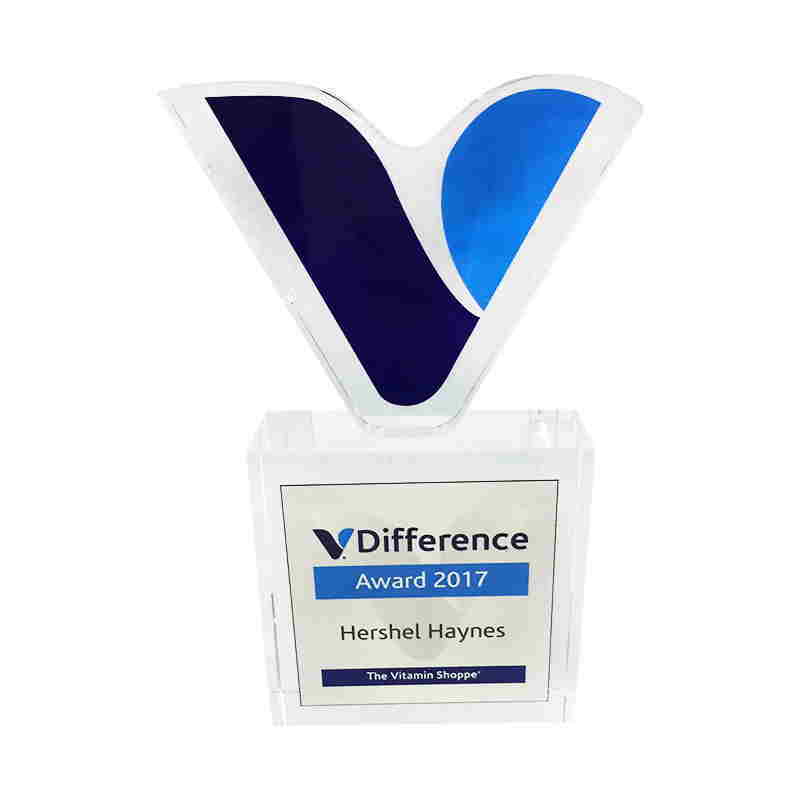 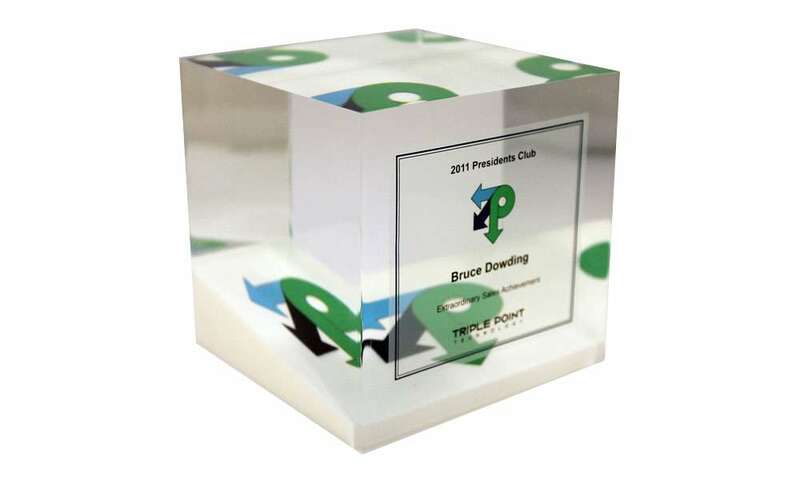 Custom crystal award designed for The Vitamin Shoppe. 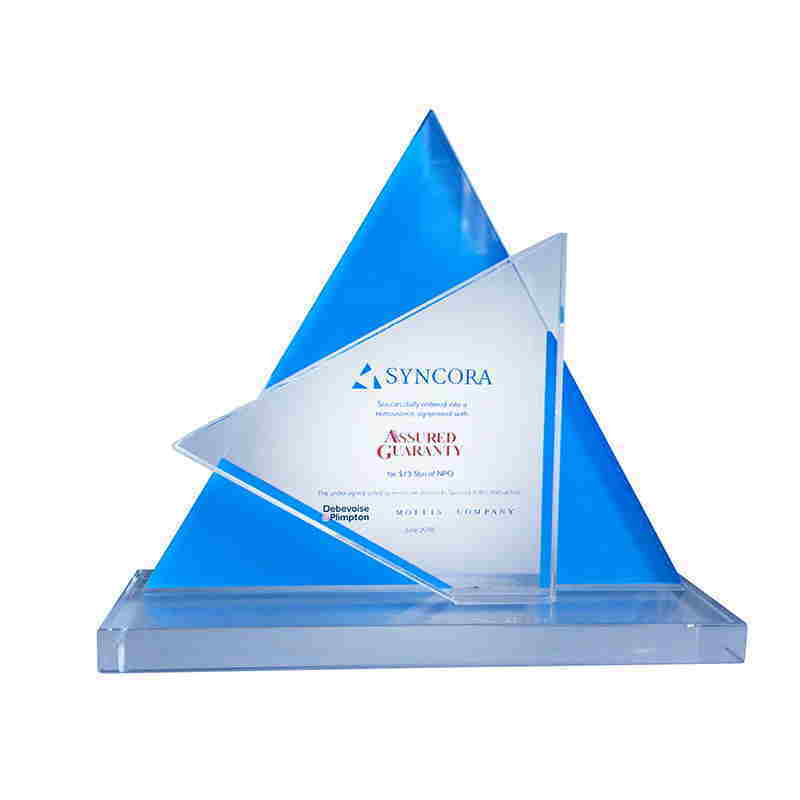 The health and wellness retailer is based in North Bergen, New Jersey. 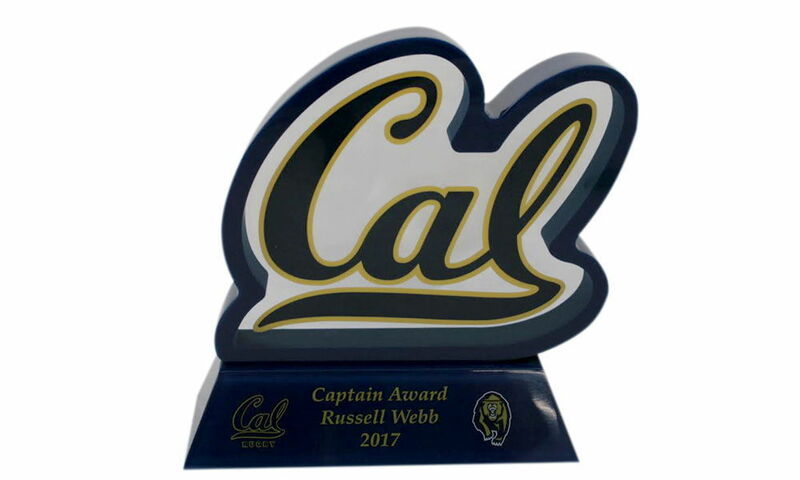 Custom Lucite award presented by the University of California, Berkeley (Cal) Rugby team. 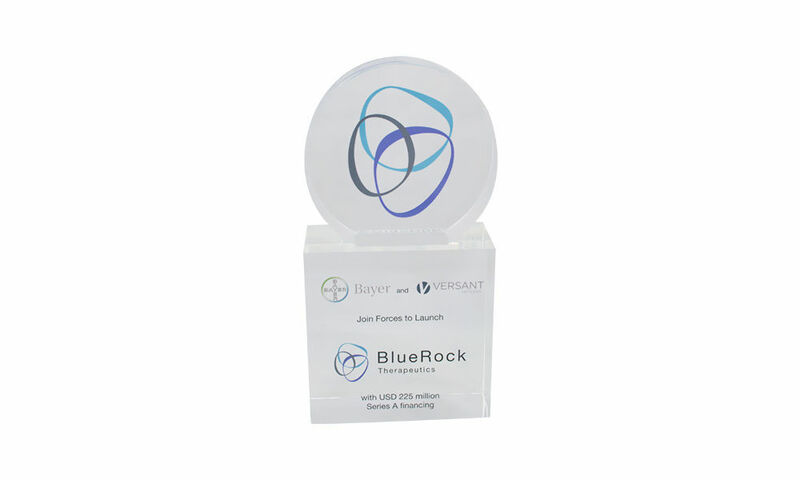 Custom acrylic paperweight featuring the logo of fintech firm Marqeta. 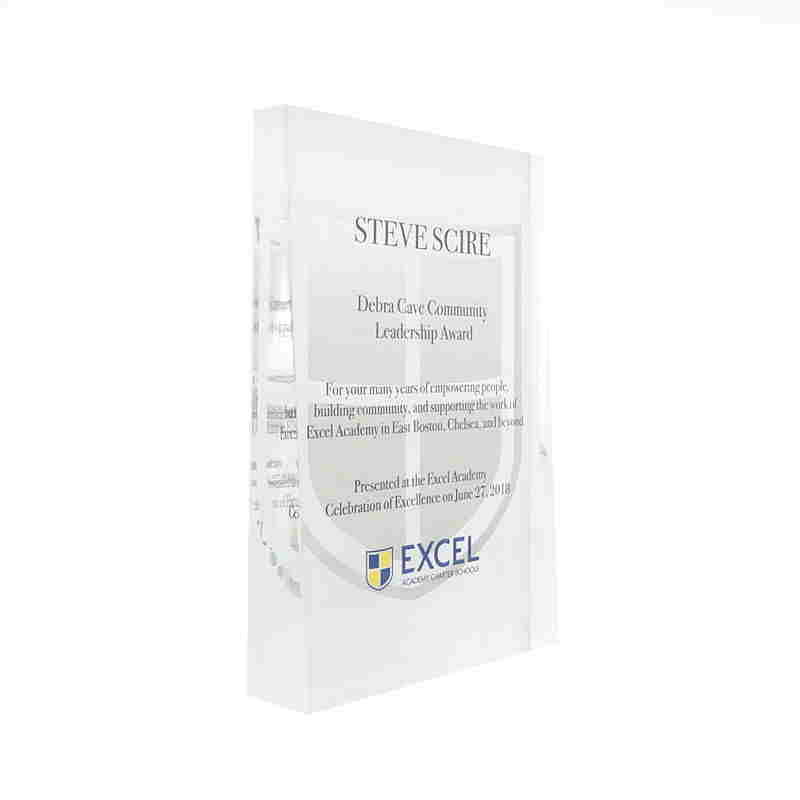 Custom acrylic leadership award presented by Excel Academy Charter Schools. 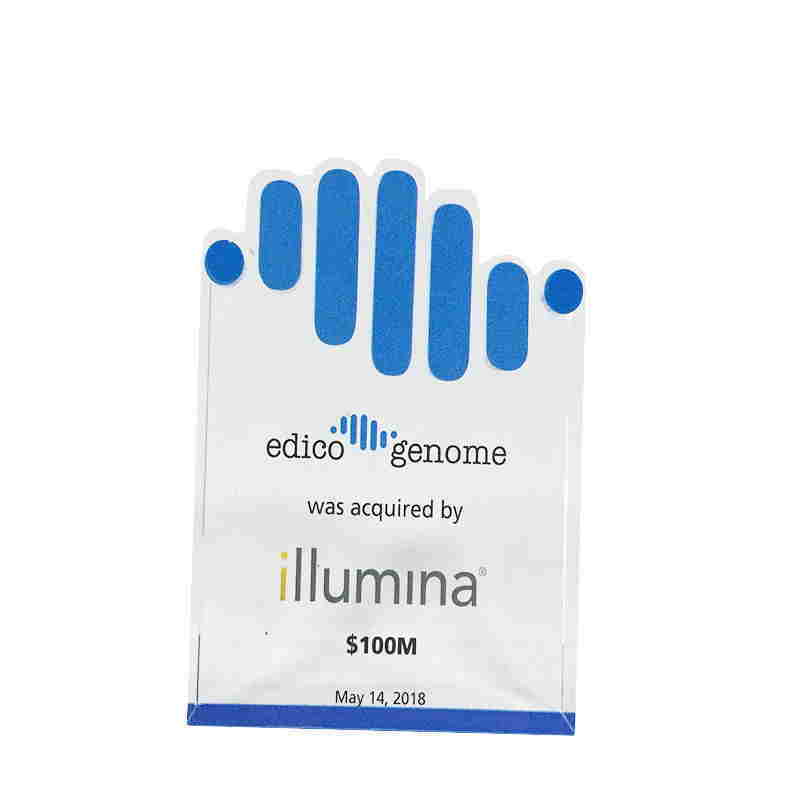 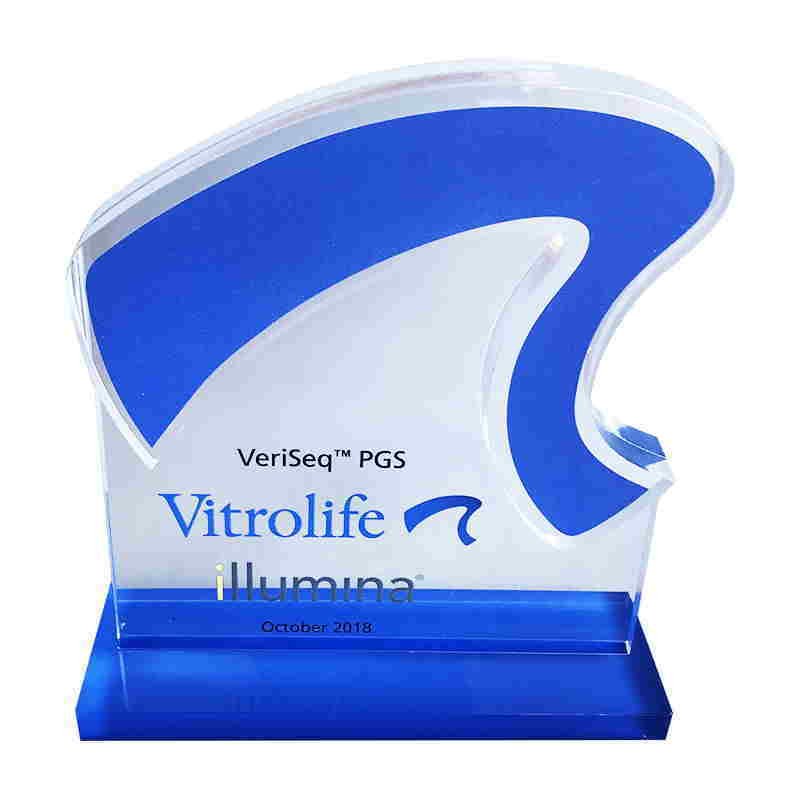 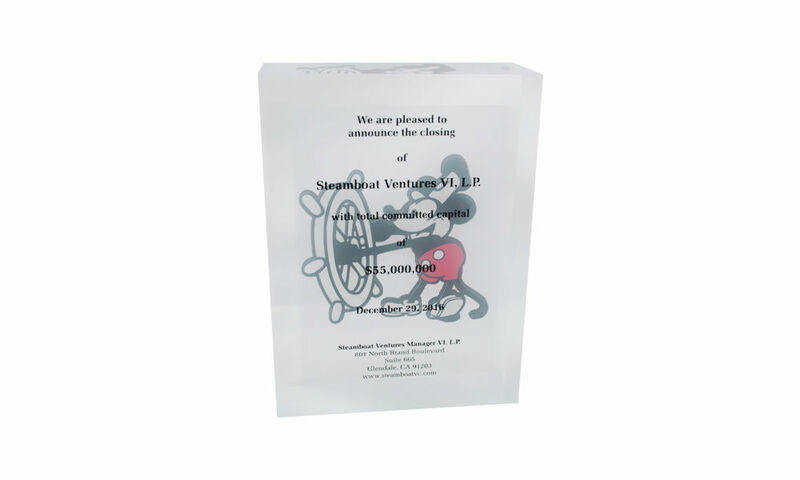 Custom Lucite deal toy recognizing series 'B' financing for Verb Surgical, a digital surgery firm founded by Verily and Ethicon, a division of pharmaceutical firm Johnson & Johnson. 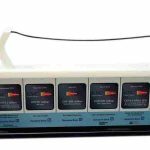 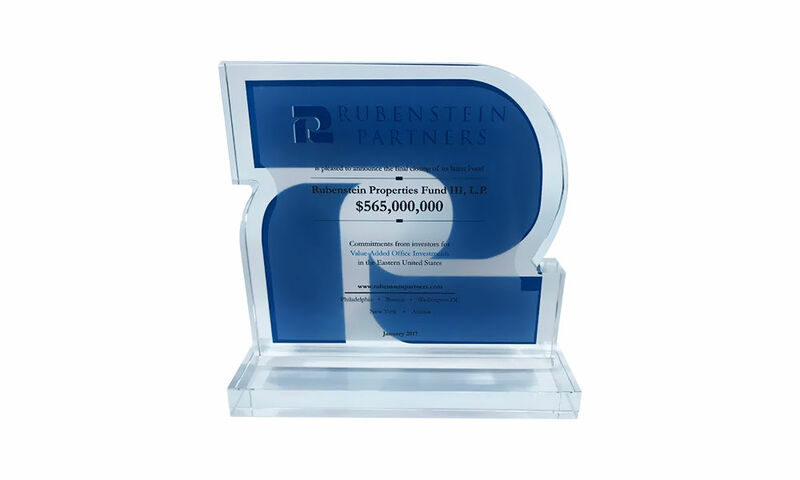 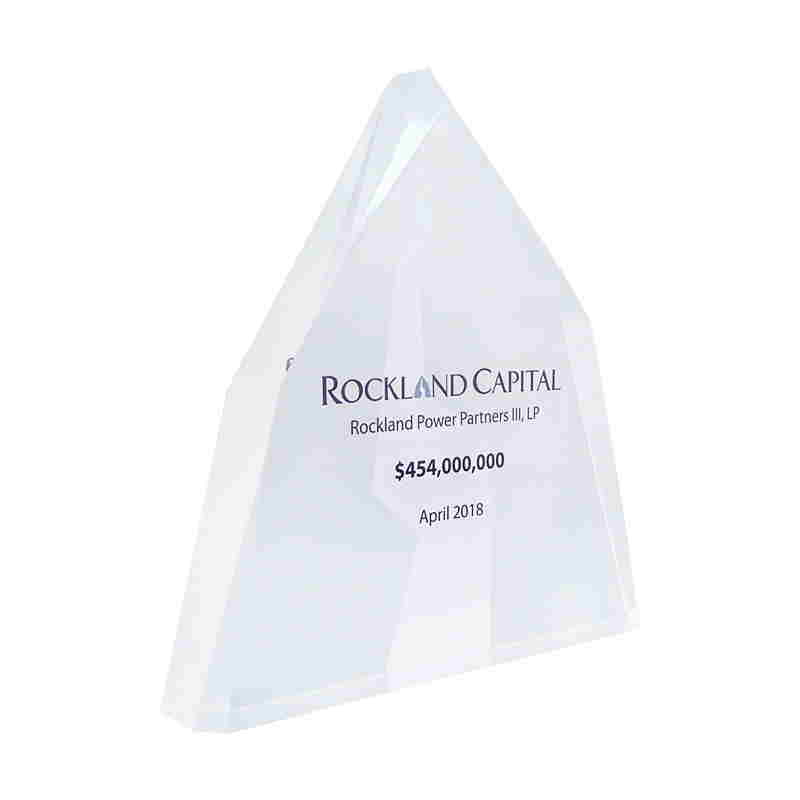 Custom Lucite marking the launch energy fund Rockland Power Partners III by Houston-based private equity firm Rockland Capital. 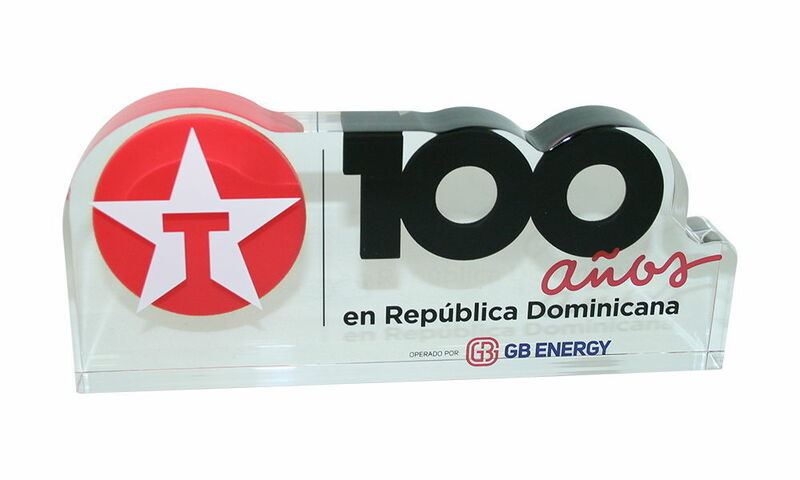 The fund will concentrate on the acquisition of North American power projects. 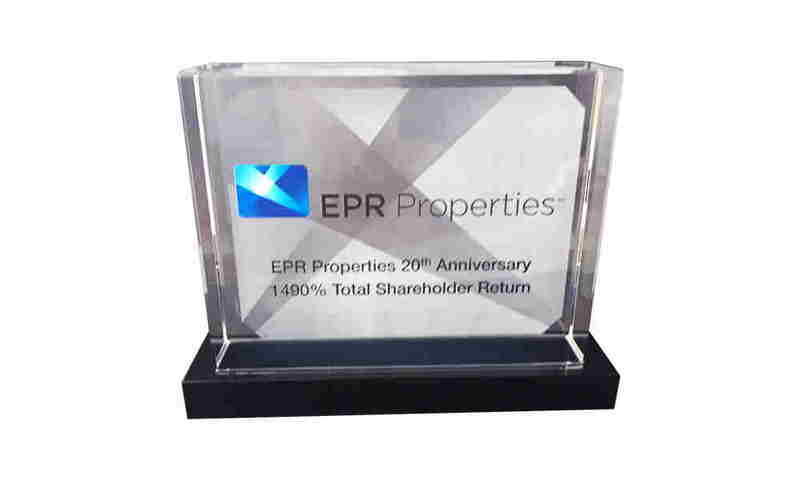 Custom Lucite commemorating the closing of energy fund Rockland Power Partners III. 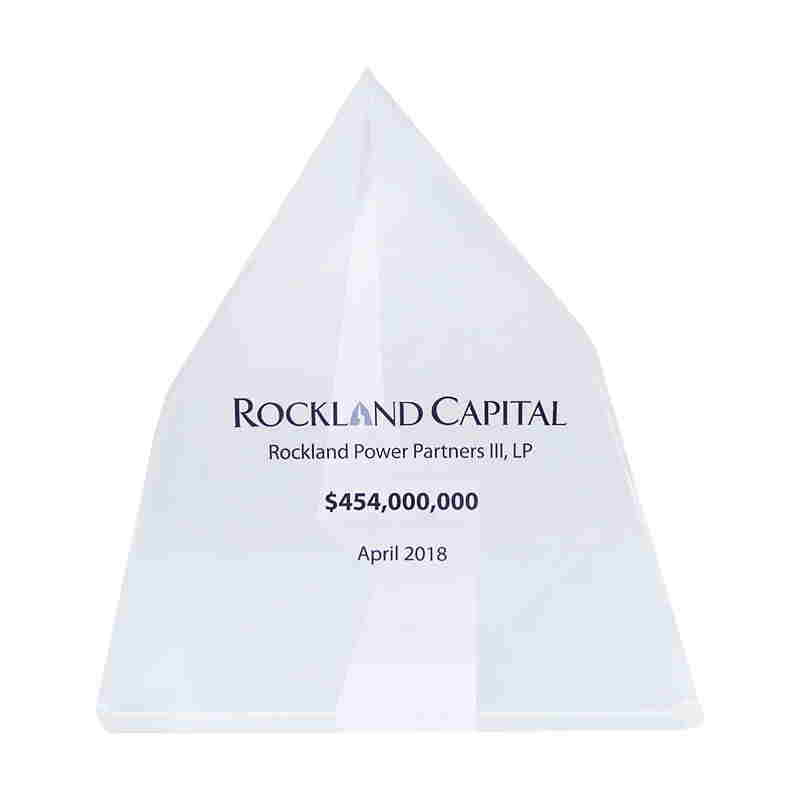 The fund was launched by Houston-based private equity firm Rockland Capital, and will be devoted to the acquisition of North American power projects. 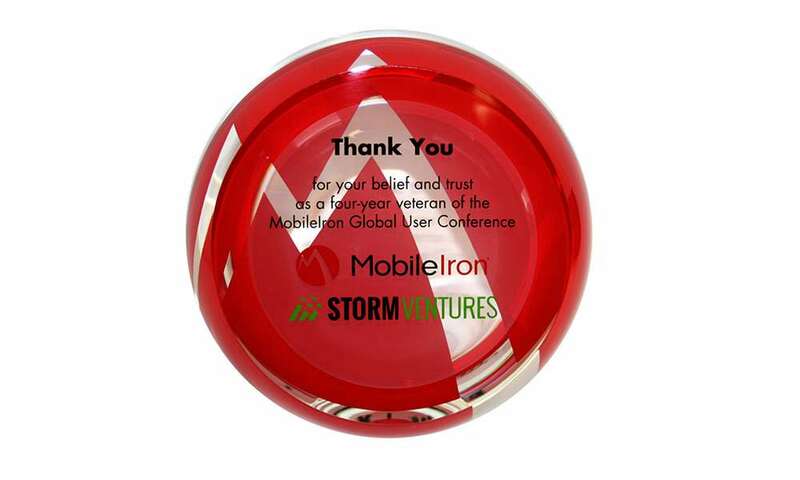 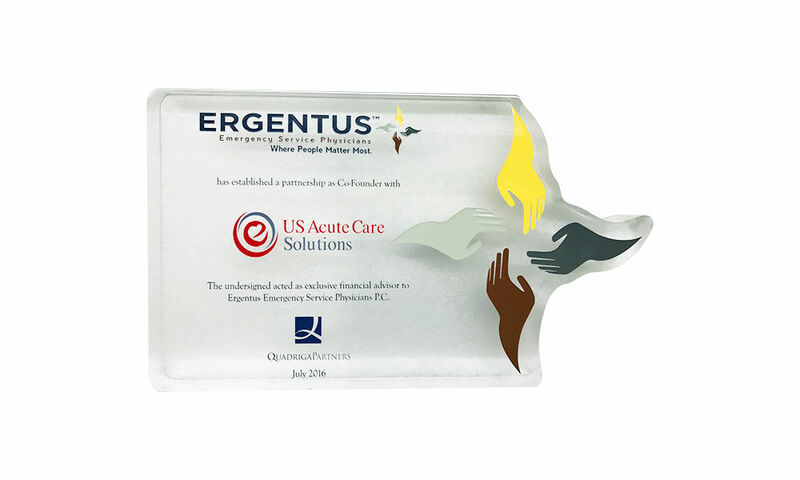 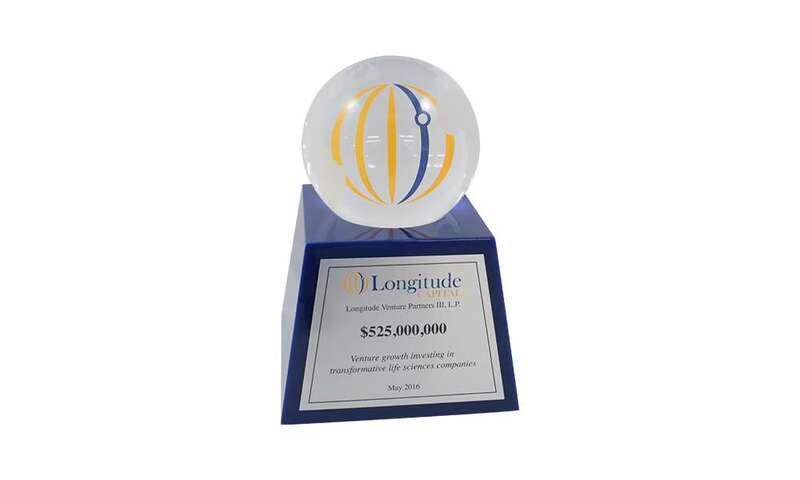 Custom Lucite employee recognition award presented by Kinex Pharmaceuticals. 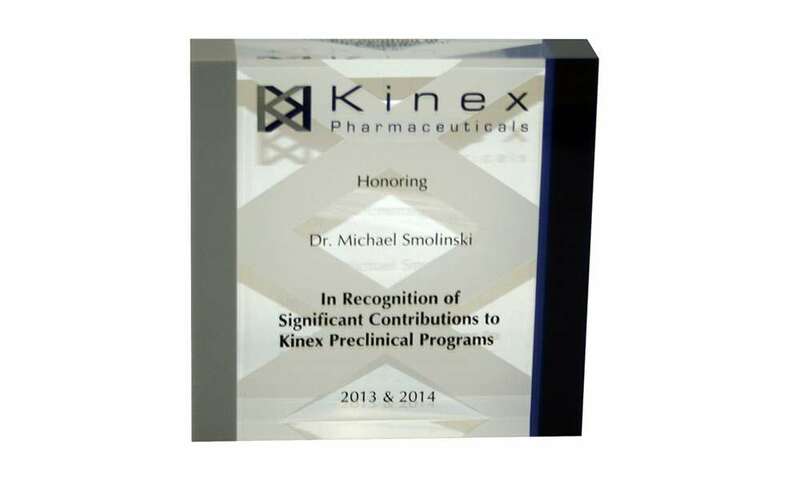 The award honors preclinical work at the Buffalo-based firm, now known as Athenex. 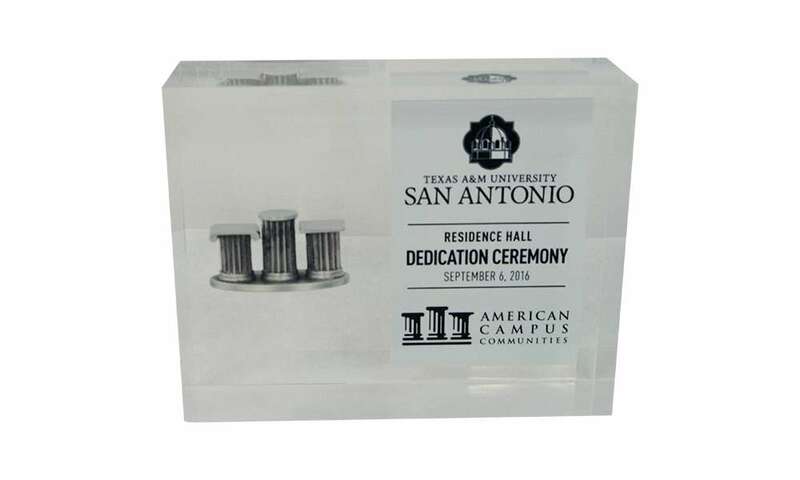 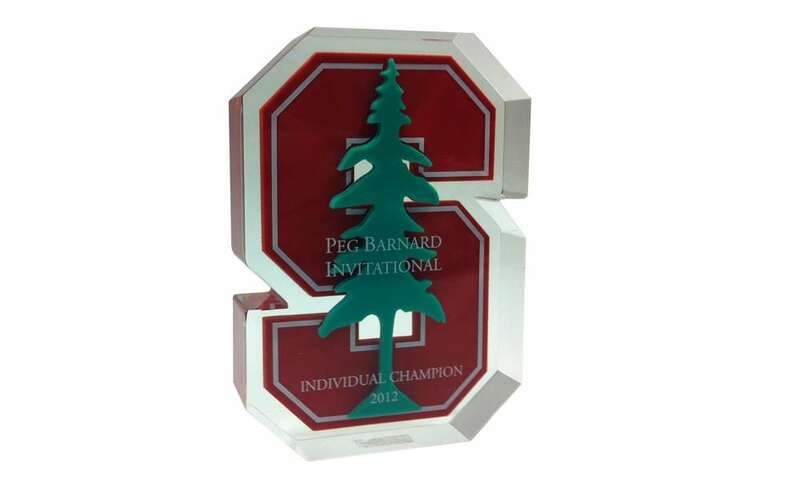 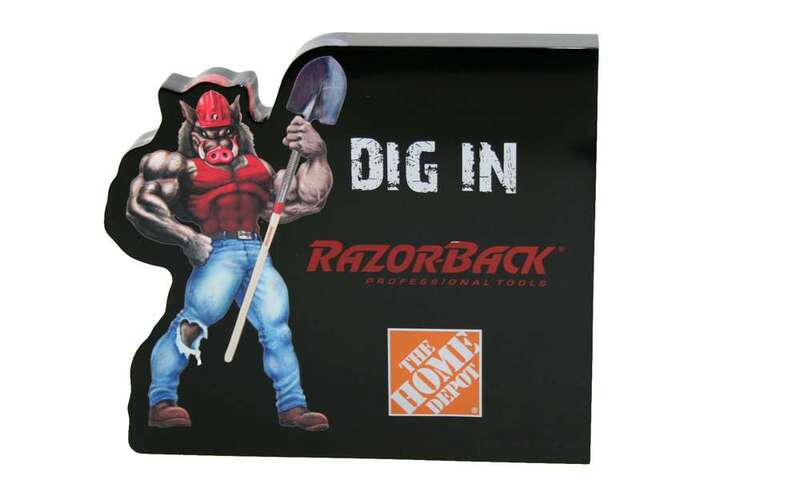 Stanford University custom acrylic award. 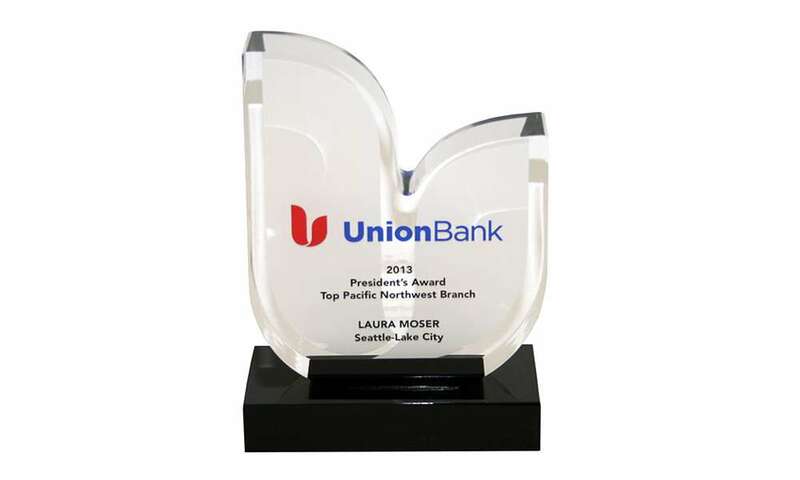 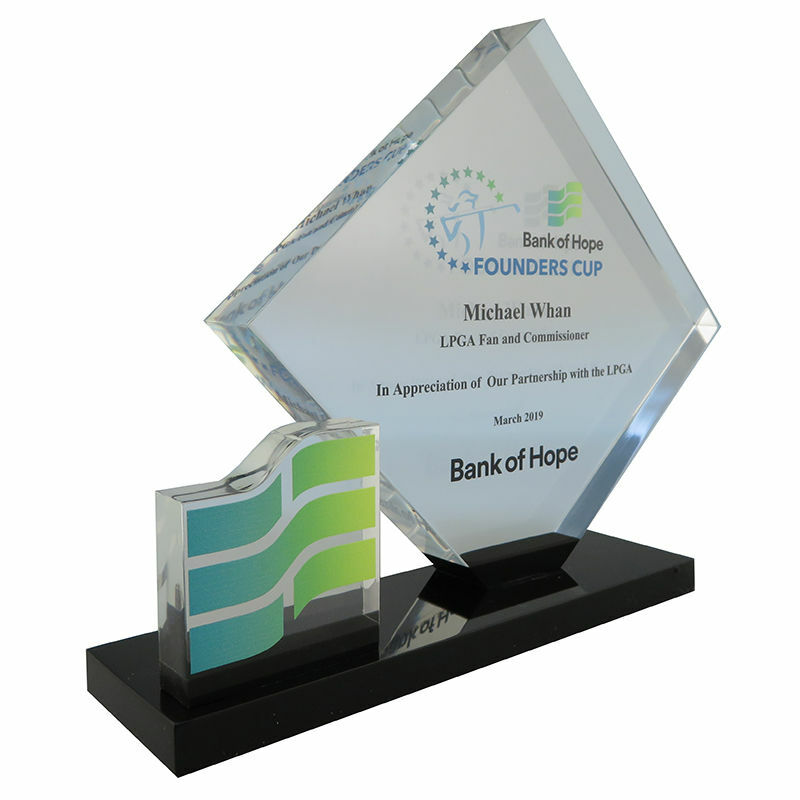 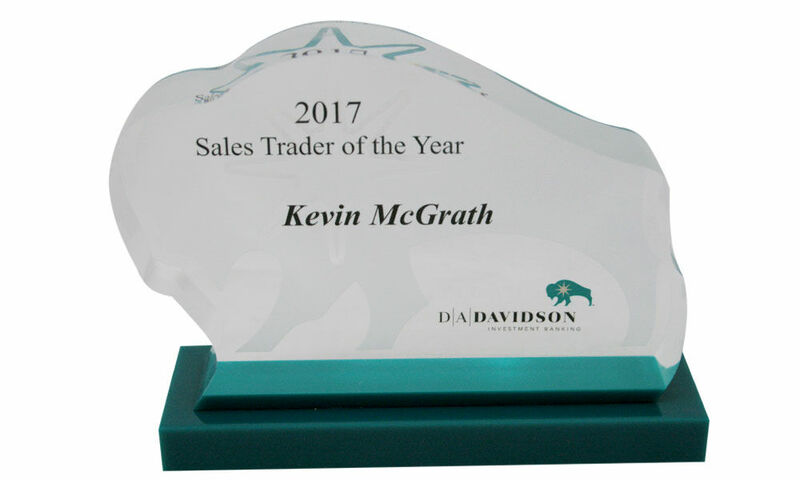 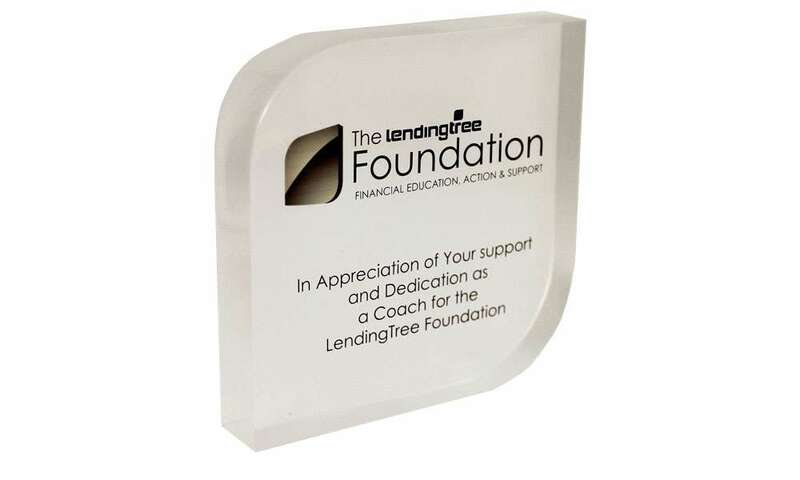 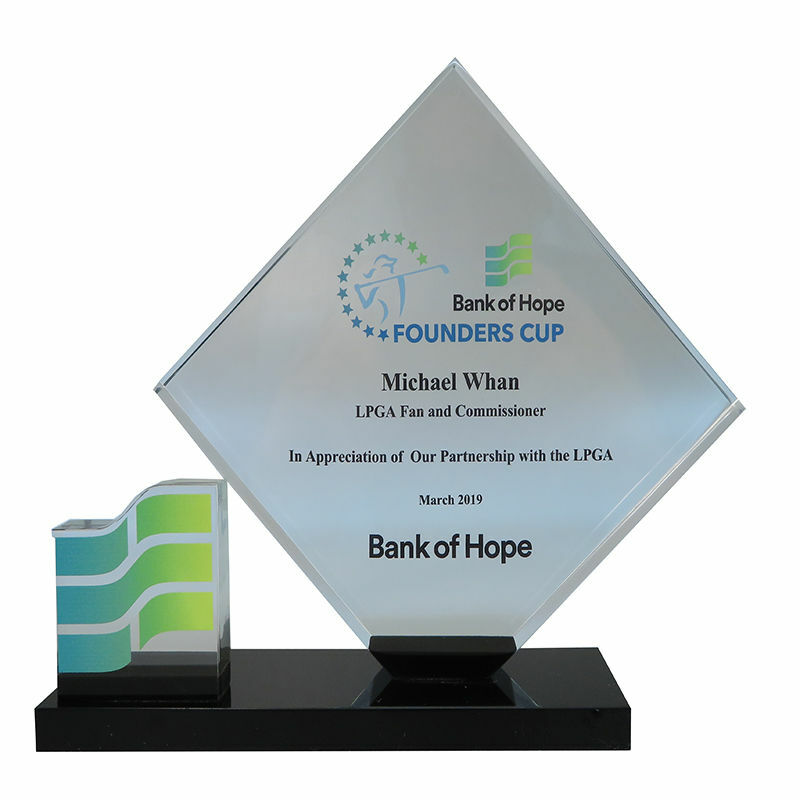 Custom Lucite award recognizing service as a coach in LendingTree's financial literacy program, The LendingTree Foundation. 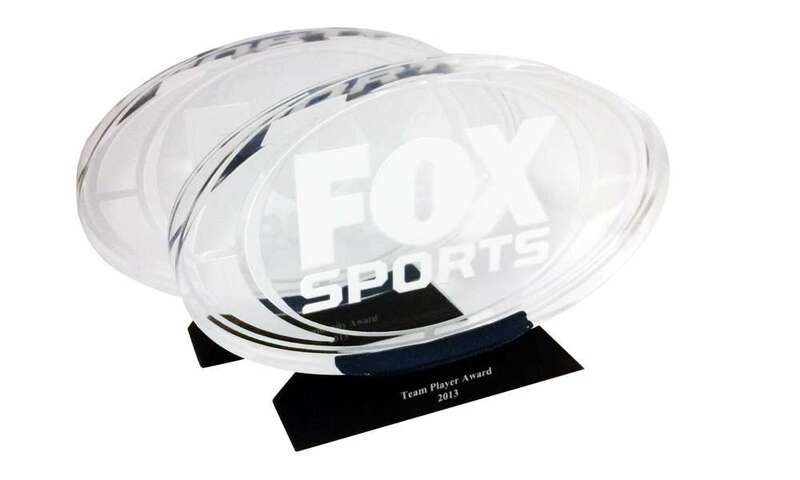 Custom Lucite team awards designed for Fox Sports. 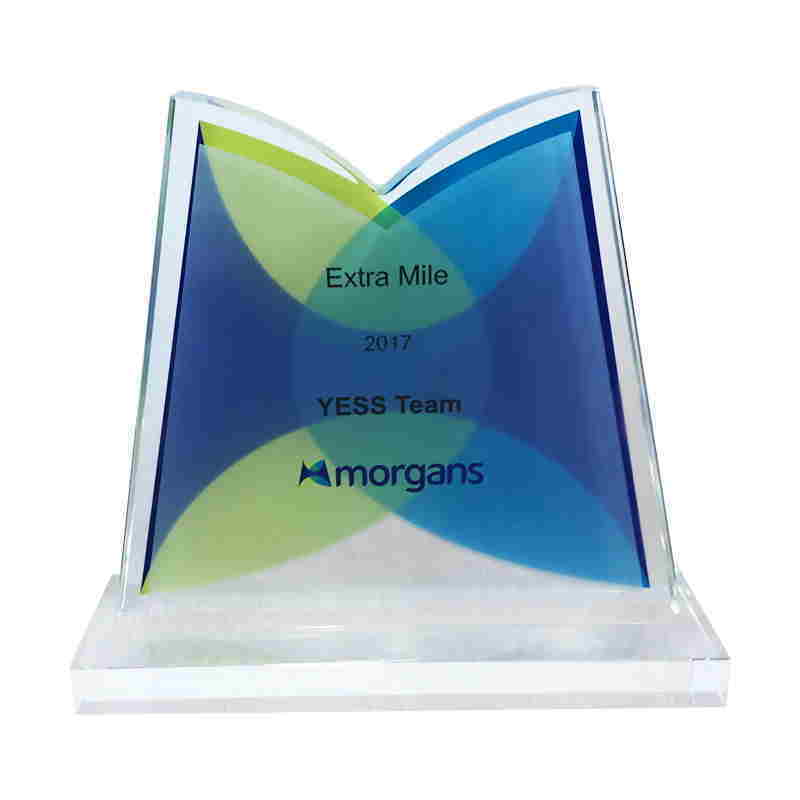 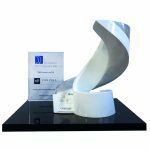 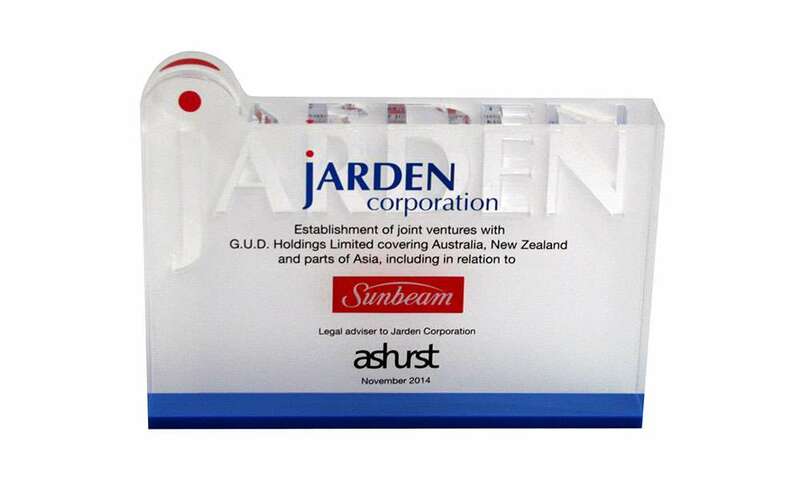 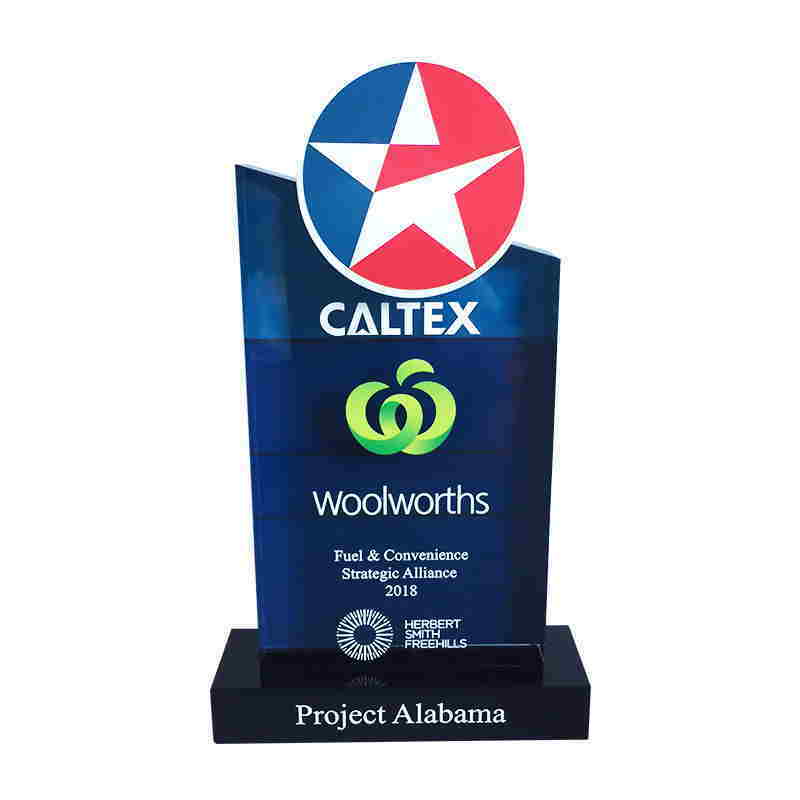 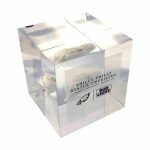 Custom crystal leadership award presented by Morgans Financial. 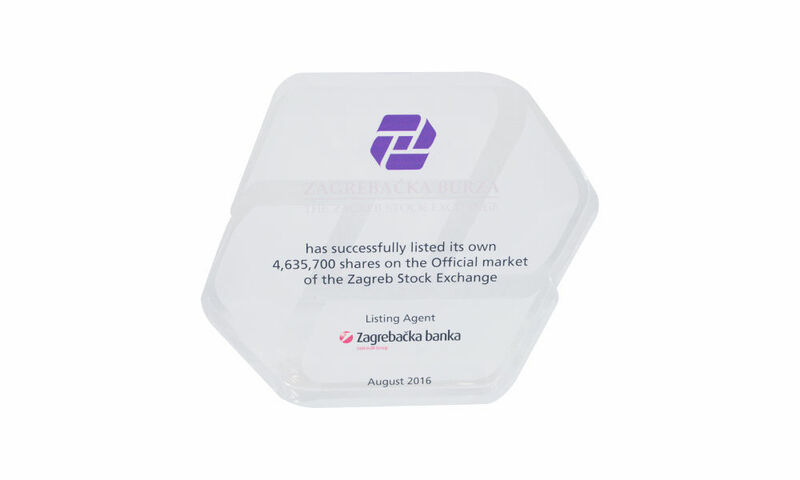 The wealth management firm is based in Brisbane, Australia.